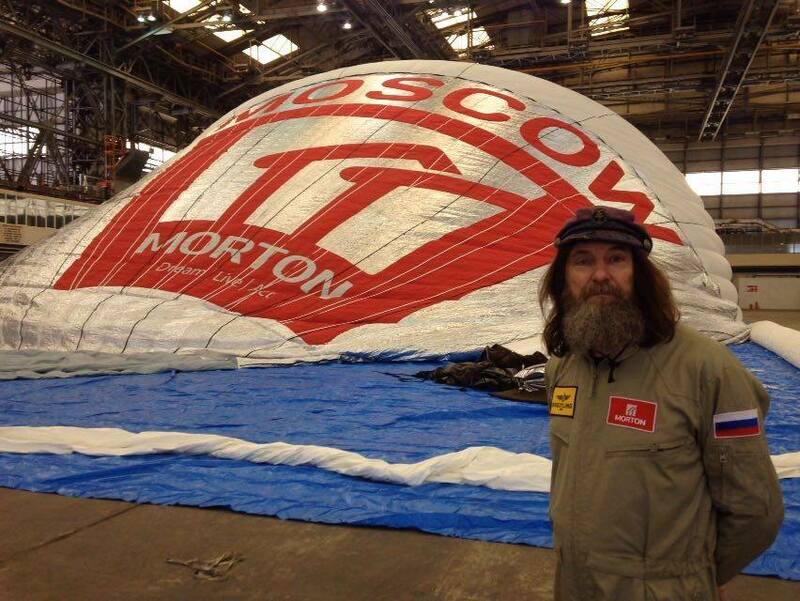 Final preparations are underway for a solo balloon flight around the world by the famed Russian traveler, Fedor Konyukhov. Less than a day remains before the early morning take-off set for July 12, in Northam, Western Australia, Konyukhov’s son Oskar said over the phone on July 11. The balloon was positioned on an airfield, said Oskar, who heads the flight center. "Everything has been proceeding normally so far. According to plans, the launch is scheduled for dawn on Tuesday," he said. Technically, Konyukhov was ready for the flight two weeks ago, but unfavorable weather conditions had delayed the launch several times. The traveler had to ‘catch’ a favorable weather window with practically no wind on the ground and a stable eastern air flow at an altitude of about 5,000 meters. On July 11, that required weather window opened up for the launch and Konyukhov is making every effort to use it. Northam, where the balloon is set to take off from, is located at the 31st parallel south, about 100 kilometers from Perth. The air vessel will fly non-stop from west to east. Konyukhov will cross the Pacific Ocean, fly over the southern part of South America (Chile and Argentina) and then cross the Atlantic Ocean. The flight will continue over South Africa, cross the Indian Ocean and finish in Australia. The balloon will be cruising at an altitude of five to ten kilometers, covering a distance of 33,000-35,000 kilometers. Overall, the entire voyage is anticipated to take about two weeks. Konyukhov was ordained as a Russian Orthodox priest in December 2010 and has some 50 spectacular exploits to his name. Among them, two ascents to Mount Everest, treks to the highest peaks of all other continents, and rowing across the Atlantic alone for 46 days. Other adventures include dog sleighing for 16 days across an 800-kilometer stretch in Greenland, single-handedly travelling around Antarctica and rowing solo on a 159-day Pacific passage.